HELEN, Ga. – With the 47th Annual Oktoberfest to begin this week, Helen City Council is scheduled to discuss limitations on banners that business owners are allowed to post advertising the city’s biggest celebration at Tuesday’s City Council meeting starting at 10 a.m. 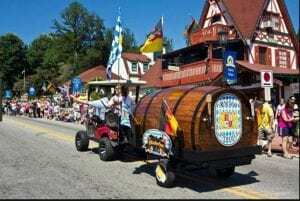 The event features German music, dancing, food and drinks and attracts thousands of visitors to the Alpine city. Council wants to limit banners to no more than two per business and no larger than three feet by six feet. Oktoberfest will run from September 7-10, then reopen September 14-17, then reopen September 21-24, then reopen again on September 28 and continue daily through October 29. Other business scheduled to be discussed Tuesday includes consideration of an alcohol license for Jesse Nix of the Chattahoochee Dog Haus, located at 8016 South Main Street for beer and wine on the premises and Sunday sales. Council also will be asked to consider allowing the temporary relocation of dumpsters at 8660 White Horse Square for the Old Heidelberg and King Ludwig restaurants. Jim Kratz wants council to consider installing speed bumps on Unicoi and Dye Street due to safety considerations. There will also be a discussion about increasing the cost for server permits due to the additional permit procedures and a possible start date when the increase will begin. 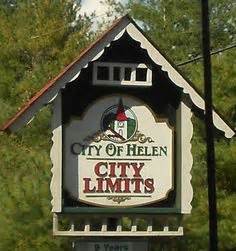 HELEN, Ga. – The City of Helen will hold a first reading of two ordinances and listen to complaints against a local lodging facility when it meets Tuesday at 3 p.m. at City Hall. Council members will read an ordinance to amend the official code of the City of Helen, relating to Chapter 34 of the Land Development Code, Article VI Flood Damage Prevention. Also on the agenda is a first reading of an amendment to the official code of the City of Helen of Chapter 6 relating to alcohol beverages and distilled spirits. There will be a discussion concerning payment of mixed drink tax for Chris Williams of Cowboys and Angels Restaurant and Bar. 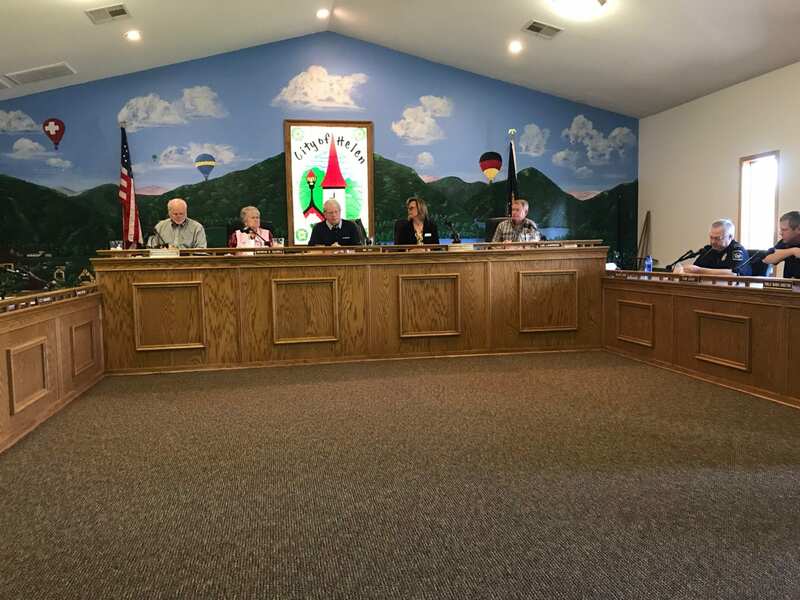 Council is also scheduled to hear monthly reports from the Alpine Helen/White County Convention and Visitors’ Bureau, the Helen Chamber of Commerce as well as departmental reports from the police chief, fire chief, finance director, building and zoning director and utilities director. HELEN, Ga. – A contract for the construction of the long-awaited — and now more expensive — pedestrian bridge over the Chattahoochee River along Main Street was awarded to Square Deal Enterprises again at Tuesday’s Helen City Council meeting. Council originally approved the contract in June for $586,022 but was forced to rebid the project because it will be funded, in part, by federal Transportation Enhancement dollars through the Georgia Department of Transportation. The original bid did not include a provision requiring a portion of the work to be completed by minority or woman-owned business. The bid approved Tuesday was for $623,022. 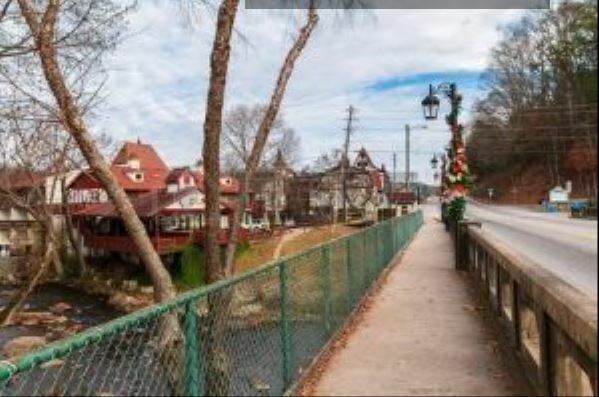 The bridge will connect the sidewalks that front The Castle Inn and Café International and is identical to the bridge that exists in front of Paul’s Steakhouse on the opposite side of Main Street. Four companies submitted bids in June but only one met the federal requirement and it was $270,000 higher than Square Deal’s bid. The council then had to choose between accepting the higher bid or rebidding the project. They chose the latter. The bid now goes to GDOT for final approval. 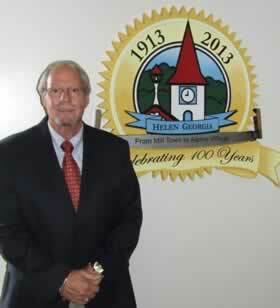 City Manager Jerry Elkins was approved to serve on the Northeast Georgia Housing Authority. Council also approved the addition on another entrance/exit for the city fire department and the second reading of an ordinance to amend Chapter 6 of the city’s municipal code as it relates to alcoholic beverages. 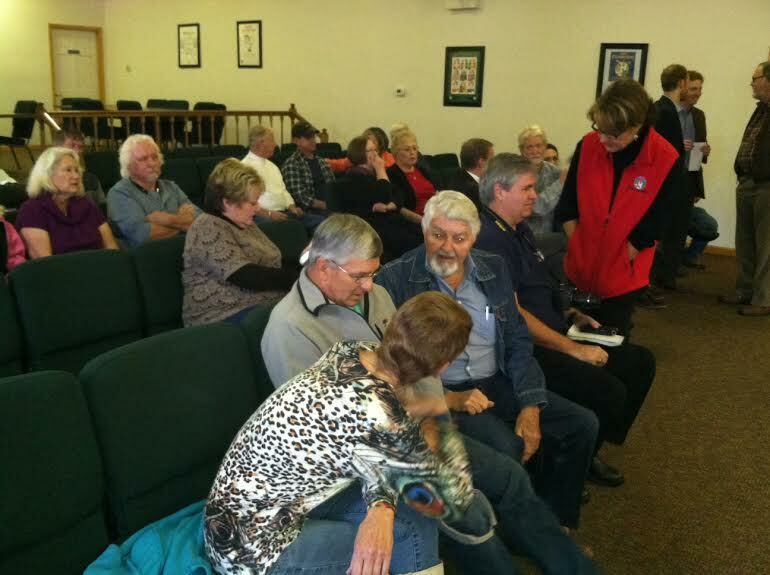 HELEN, Ga. — A near standing-room-only crowd attended the Helen City Commission’s first meeting of the new year Tuesday. The hot-button issue was a public hearing on the controversial Alpine Coaster proposed for 8409 South Main Street. Property owner Terry Sims requested his property be rezoned from R-2 (medium density residential) to C-3 (highway commercial) for the purpose of constructing an Alpine Coaster. Sixteen city business owners and representatives from the Chamber of Commerce and White County Convention and Visitors Bureau argued that the city needs more family-friendly attractions to draw visitors to the Alpine Village. While they were vastly outnumbered, opponents who live on adjoining property spoke passionately about how their lives would be impacted negatively. The Commission voted unanimously, with Commissioner Fred Garmon absent, to approve the rezoning request and an accompanying conditional use permit. In other action, the Commission elected Helen Wilkins as mayor and Jeff Ash as mayor pro tempore. Donna K. Burke, rescinded her offer to decorate the City for fall and Christmas. 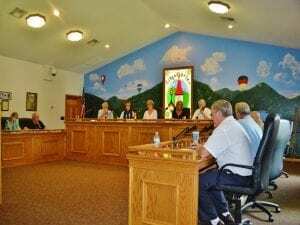 HELEN, Ga. — The Alpine City will soon have new lighting. The Helen City Council voted Tuesday to accept an offer by Georgia Power Company to replace all 144 street lights with LED lighting at no cost. Helen City Clerk Marilyn Chastain said the change will save taxpayer dollars due to the longer life span of LED lights. “The new lights are expected to last for many years,” she said. The lights are expected to be installed in the next 30 days. Council also voted unanimously to approve the purchase of new Ford F-150 Super Cab truck for the fire department for $25,976 from the low bidder Mike Jones Ford in Eastanollee. The new truck will replace a 1996 Ford Bronco the county purchased 20 years ago. Council also unanimously approved the purchase of a double-check backflow valve for the fire service line at the former Orbit building at a cost of $15,000 from Larry Todd Construction of Toccoa. City Manager Jerry Elkins said the valve will prevent a backflow from contaminating the well water in case the line breaks.